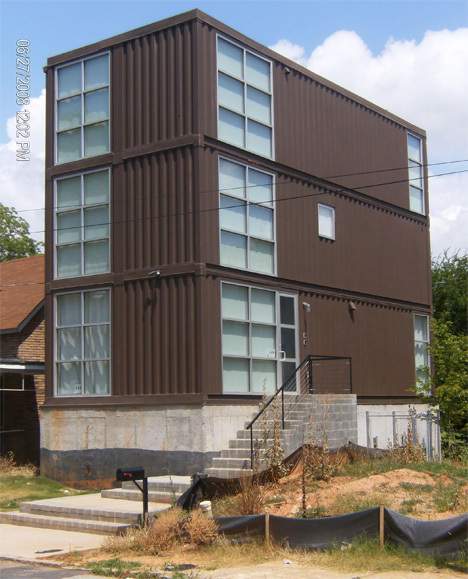 Designed by Francis Kirkpatrick and overseen by Runkle Consulting, this shipping container house in Atlanta stands out among other homes in the area. It’s built of six shipping containers on a concrete foundation which houses a single-car garage. It doesn’t seem that the builders were focused on environmental factors; rather, they were more concerned with building a structurally sound residence. The inherent sturdiness of the cargo containers coupled with the careful attention from Runkle Consulting just about guarantees that this home will be standing for a very long time.